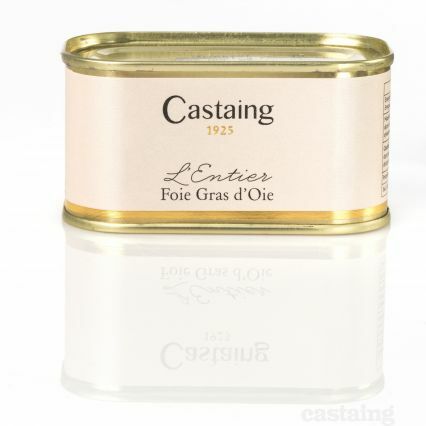 A superb goose foie gras entier prepared by Castaing in South West France and stocked by La Grande Epicerie in Paris, the French equivalent to our Harrods of Fortnum’s. This outstanding foie gras is characterized by it’s delicate flavour and texture. Goose foie gras, port wine, salt, gelatine, spices, sugar, preserving agent (sodium nitrite).